I am pretty sure that you either heard or read plenty of articles on the internet saying that Frankfurt is not the most picturesque city in Germany. Personally, I really like the city, but I have to admit that the ravages of the two World Wars have clearly left their mark on Frankfurt, many of its emblematic buildings being forever lost. 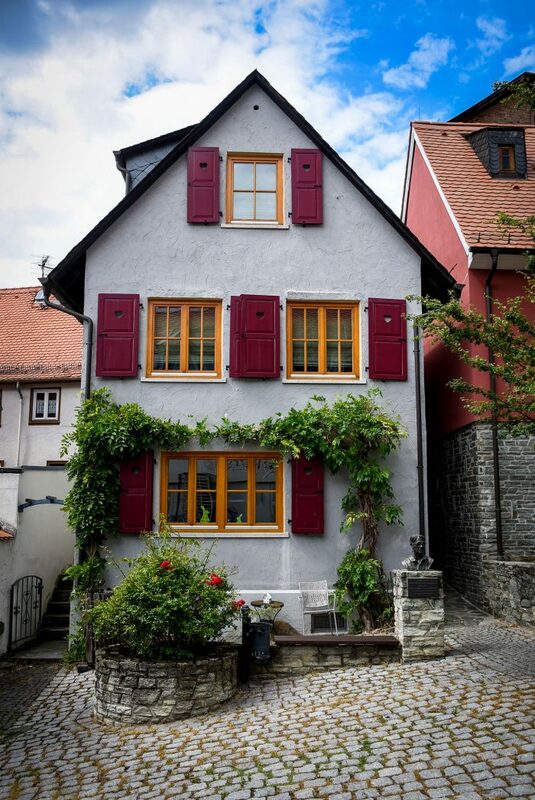 Although Frankfurt is not a very crowded city and it benefits from multiple parks and places where you can relax at your leisure, a zoo and countless museums and art galleries, we always feel the need to leave the city and wander through the villages and cities that have nothing to do with the bustle of the city. And if the escape can include a few miles of hiking through forests or vineyards, then the offer is all the more tempting. 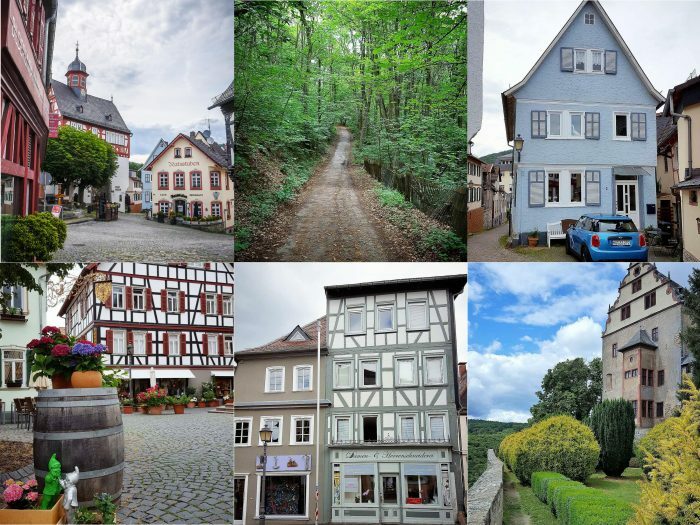 However, it is not Frankfurt I will be writing about in this article, but about two fairy-tale like towns that can be easily reached from Frankfurt: Kronberg im Taunus and Königstein im Taunus. 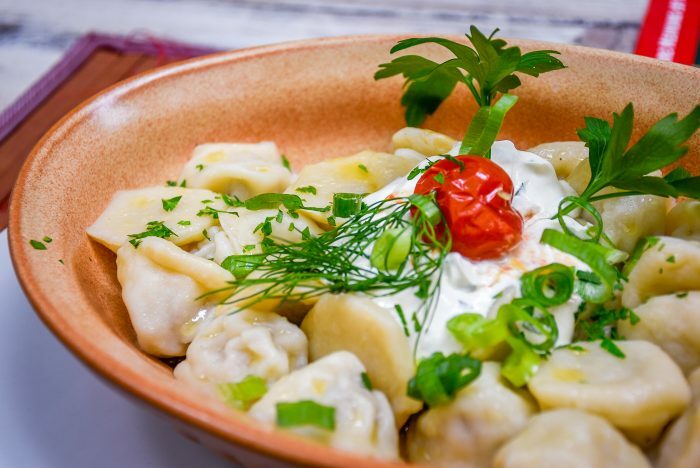 The two are an excellent choice whether you live in Frankfurt and want to escape the city for the weekend, or you are on a business trip or just visiting Frankfurt and find yourself at a loose end for a day or two. 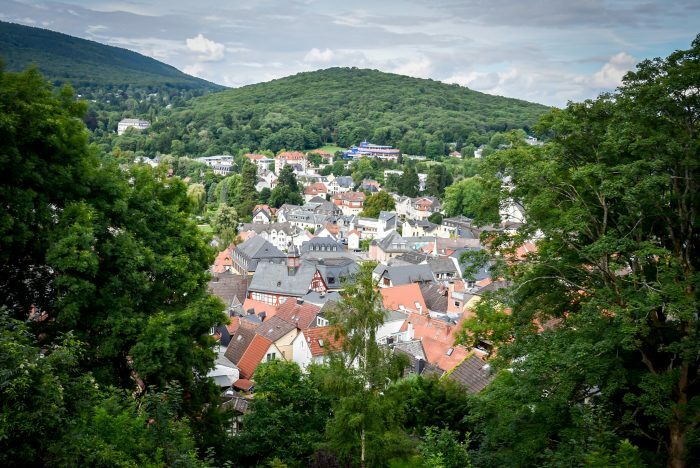 Going North, towards the Taunus Mountains, about 18 km from Frankfurt is located Kronberg im Taunus, a town that does not even reach 20 thousand inhabitants. 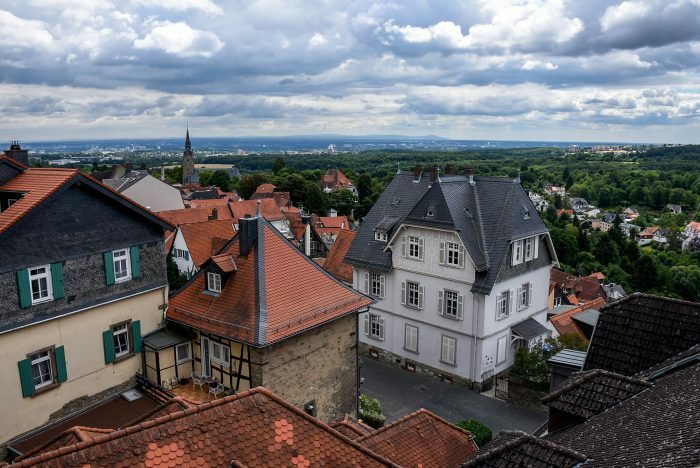 By train, from Frankfurt Central Station (Hauptbahnhof), the journey to Kronberg takes about 20 minutes. 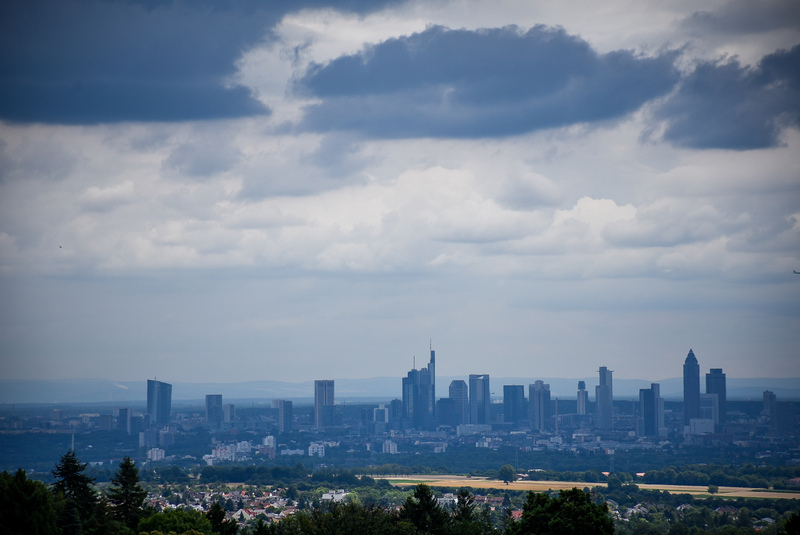 Besides, once you get to Kronberg, you will be able to admire the silhouette of the skyscrapers in the center of Frankfurt from a relatively short distance. The city seems like it’s straight off a postcard. 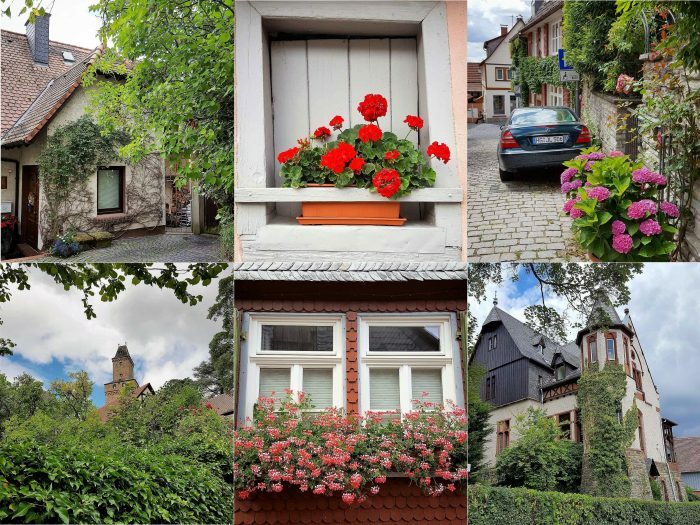 Traditional wooden houses with typical German architecture seduce you with their colors, but especially with the avalanche of flowers hanging at any window. 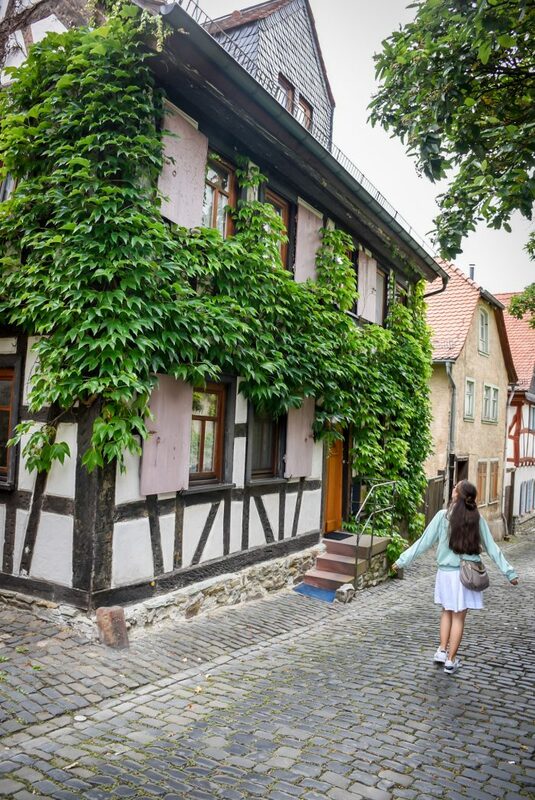 Geraniums, hydrangeas, petunias, and roses adorn the pebbled gardens and narrow streets, and the ivy and other hanging plants cover the old walls of the Kronberg dwellings. The Romanesque period is represented in the upper part of the castle, which is also the oldest (about 1170-1200). The lower castle, from which remains very little, dates from the 14th century. The middle castle, built predominantly in the 15th century, makes the transition between the period when the castle had a purely defensive role to the period when the castle gained a residential function. In 1891 Kaiser Wilhelm II offered the castle as a Christmas present to Empress Victoria of Germany (the eldest daughter of Queen Victoria of Great Britain). She began the renovations under the careful supervision of the architect Louis Jacobi, with the intention to open a museum here. Two years later, the Empress would die suddenly, and her younger daughter, Margaret, will continue her mother’s plan by opening the first museum at Kronberg Castle in 1912. The Kronberg Castle Foundation has been the owner of the castle since 1994. 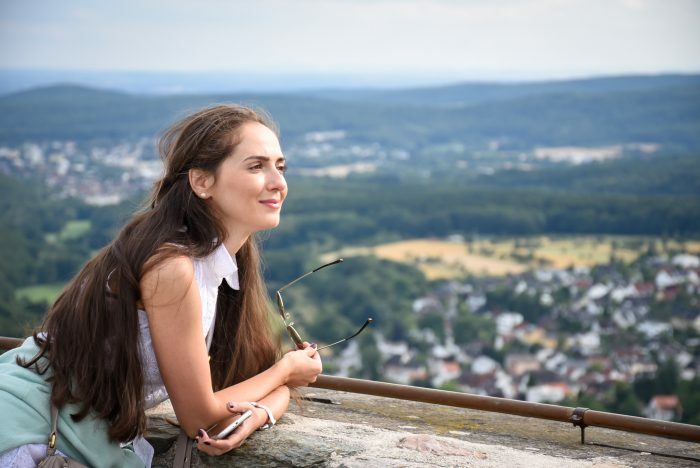 The castle is certainly worth visiting not only for its historical significance but also for the dramatic views over the surrounding area and over the city that unfolds at its base. 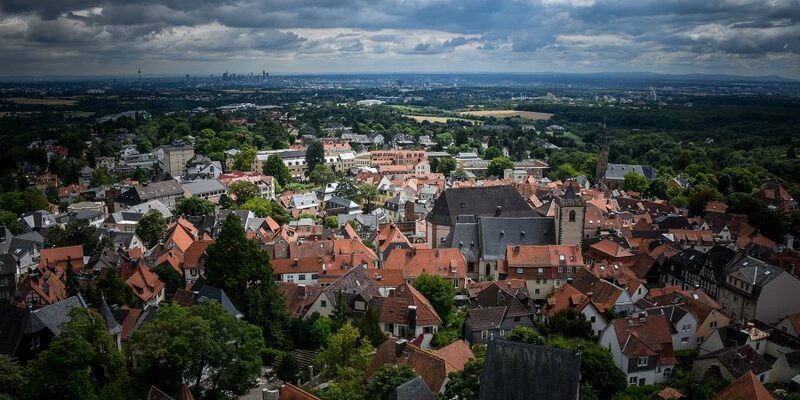 In Kronberg im Taunus you will discover a generous offer of art galleries, boutiques that sell local crafts, terraces, and pastry shops that will tempt you all the way and even some museums that you can squeeze in your program if you plan to spend a whole day in the city. Among these, you may find the Braun Museum of great interest. Max Braun, a mechanical engineer, opened a mechanical workshop in 1921 in Frankfurt where he produced pieces for the radio systems. In 1950, the first electric shaving machine was launched, followed by a plethora of household electrical appliances. 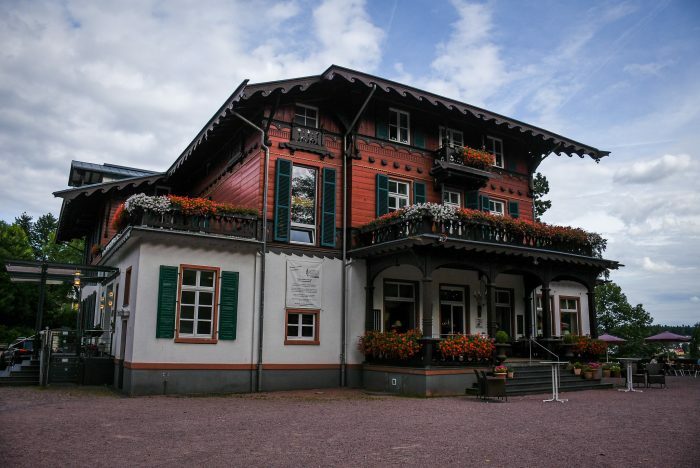 The famous brand created almost 100 years ago no longer needs big presentations, however, if you are tempted to take a trip into the world of Braun, the doors of this museum located in Kronberg are wide open. 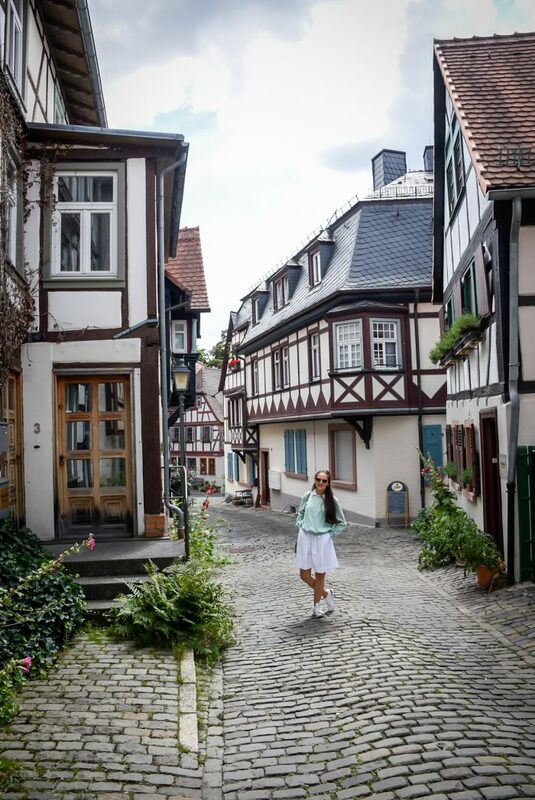 If you wake up early in the morning and take the train before 8 o’clock from Frankfurt, until midday you have plenty of time to explore Kronberg. 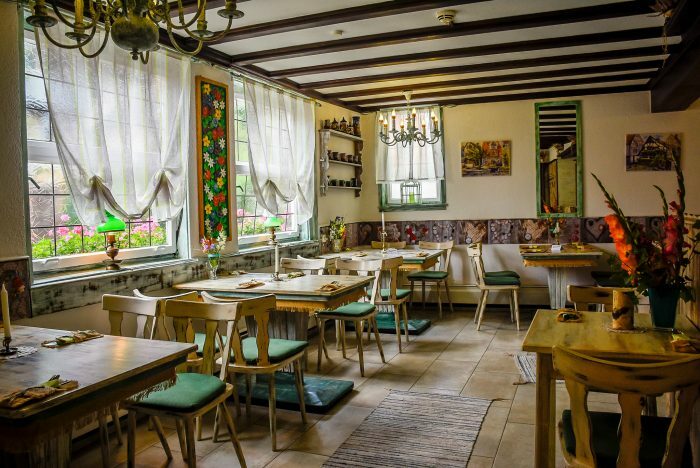 After lunch, if you are not too tired, you can continue the trip in Taunus with another picturesque town. 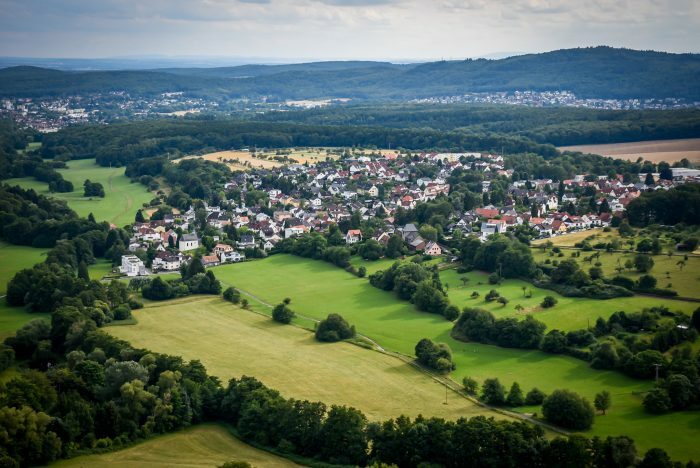 Only 4 km separate Kronberg im Taunus and Königstein. Of course, you can easily walk this distance (and that would be my recommendation too), or you can take the bus between the two cities. 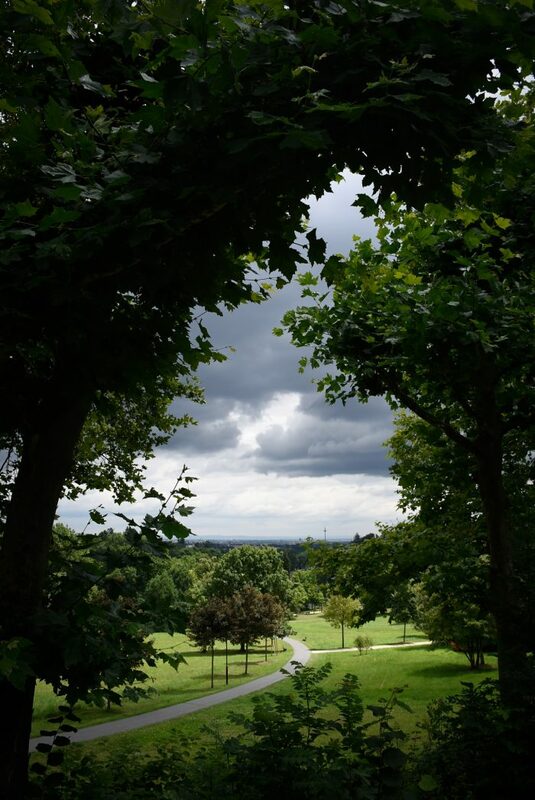 If you’re lucky to skip the rain, the walk is easy, going mostly through the forest. The route is well marked (no surprise there ?! 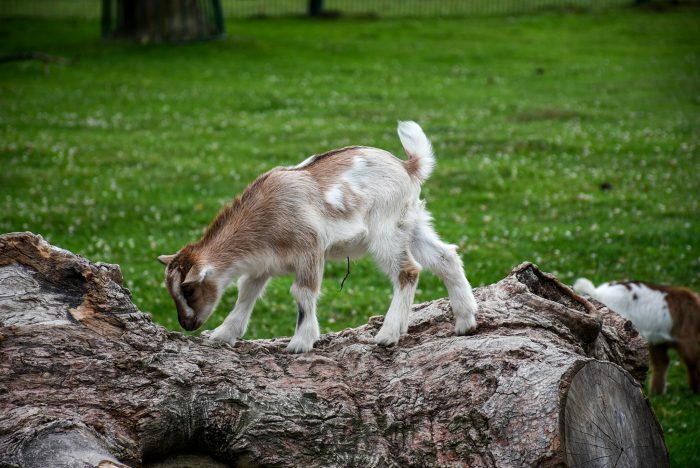 ), and halfway through it, you will find a beautiful zoo, which is an important stopover for the little ones. The Opel Zoo was founded in 1956 by one of the grandsons of the famous car maker Georg von Opel. He brought here several Persian deers with the aim of protecting and breeding them. 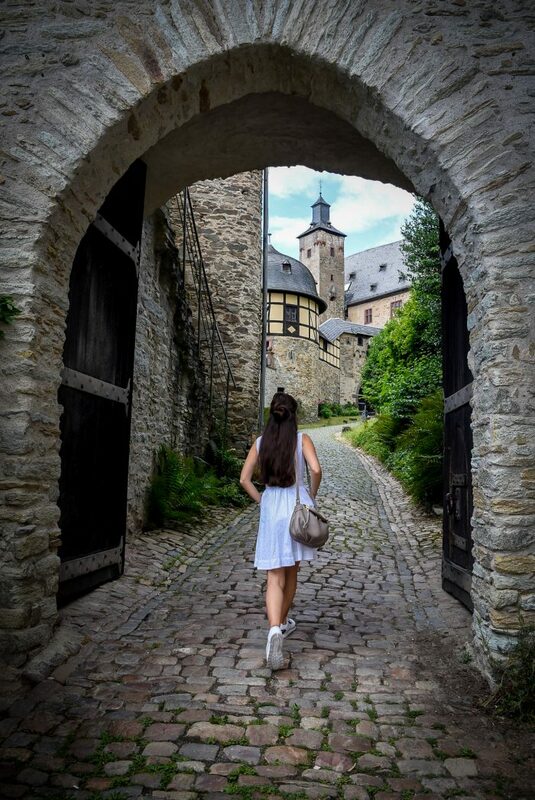 Like Kronberg, Königstein benefits from the mineral waters that originate in the Taunus Mountains, being a renowned SPA center. The town is situated at the base of well-forested slopes and counts about 17,000 inhabitants. The beginnings of the settlement are unknown, but the first documentary attestation dates back to 1215. 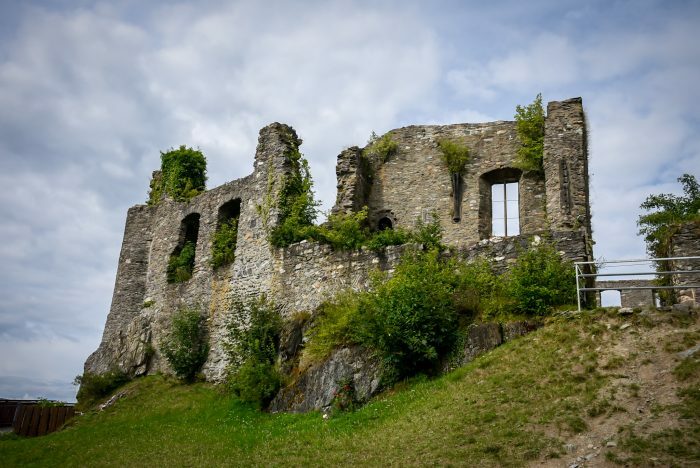 Very much like its neighbor, Königstein owns an imposing castle, most probably built at the beginning of the 12th century, to oversee the commercial route between Frankfurt and Cologne. In the 16th century, the Count Stollberg turned the castle into a massive fortress, which was later severely affected by the invasion of French troops in 1796. Researchers and historians, however, believe that much of the advanced stage of degradation was caused by the inhabitants of the town, who used the castle stone to consolidate or raise their own homes. 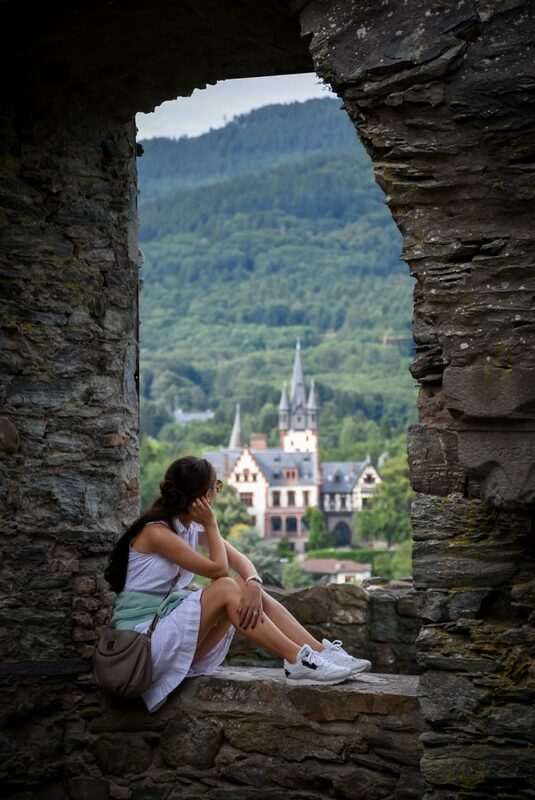 Some of the castle cellars are still well preserved and can be visited, and the view from the castle tower over the surrounding area is worth every effort to climb those over 100 stairs. 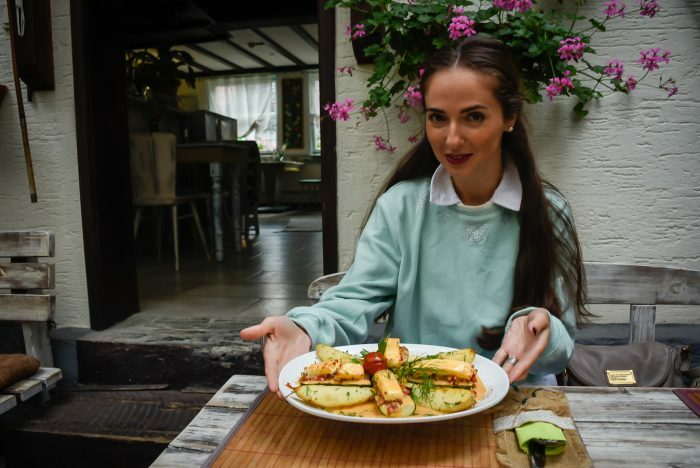 In the Nazi era, the city was regarded as a “Jewish place” due to the large number of illustrious Jewish guests spending their holidays here in internationally renowned sanatoriums such as Dr. Kohnstamm or hotels like the Cahn Hotel, which even offered their guests kosher menus. Starting 1906, the city became even more attractive, with the opening of the Königstein-Frankfurt railroad. 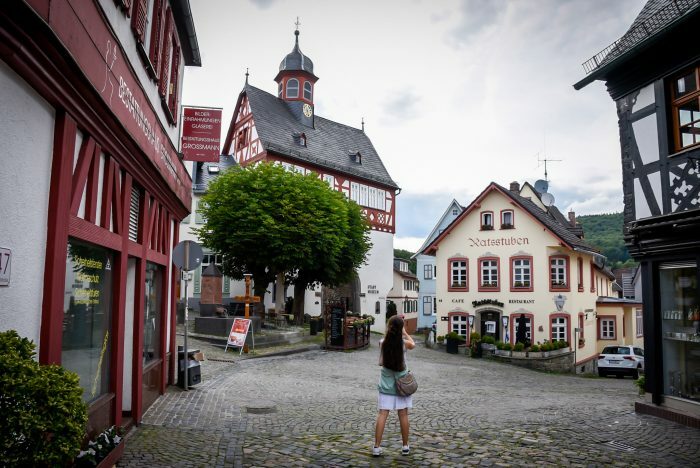 Famous artists and Jewish writers of the time lived for a long time in Königstein. 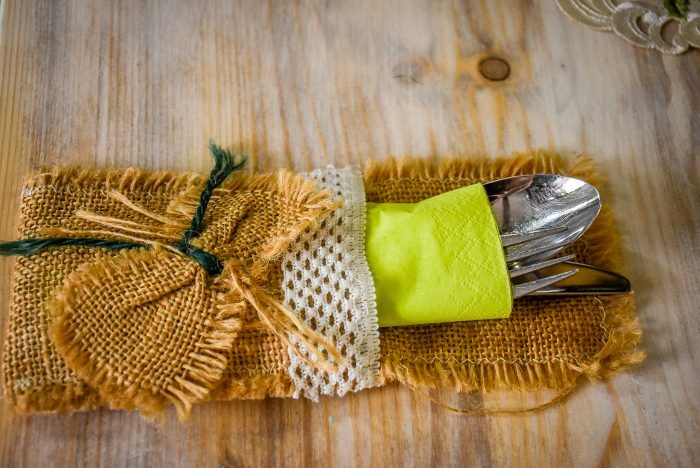 Great write up as always Roxy! Great to see some places of the beaten track getting attention. 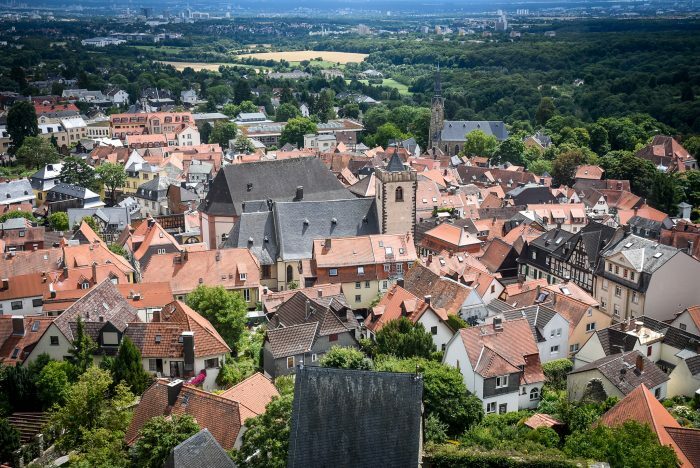 We have took your advice, and this time made a trip to Kronberg, not only the Opel Zoo. The town is lovely, thanks for the tip!